ISLAMABAD: China on Wednesday said it is working out a financial support package for Pakistan which will be bigger than that offered by Saudi Arabia during a recent visit by Prime Minister Imran Khan to Riyadh. “The financial support package for Pakistan is currently being worked out … it will be more than what extended by Saudi Arabia in terms of financial grant,” Deputy Head of Mission at Chinese Embassy Zhao Lijian told a select group of reporters here along with a visiting five-member delegation comprising Chinese scholars and economic experts. The visiting delegation included Rong Ying, vice president at China Institute of International Studies; Zhang Zhixin, counselor at Department of Asian Affairs, Ministry of Foreign Affairs; Zhu Caihua, vice president at International Trade Research Center, Chinese Academy of International Trade and Economic Cooperation; and Ye Hailin, director at Center for South Asia Study, Chinese Academy of Social Sciences. 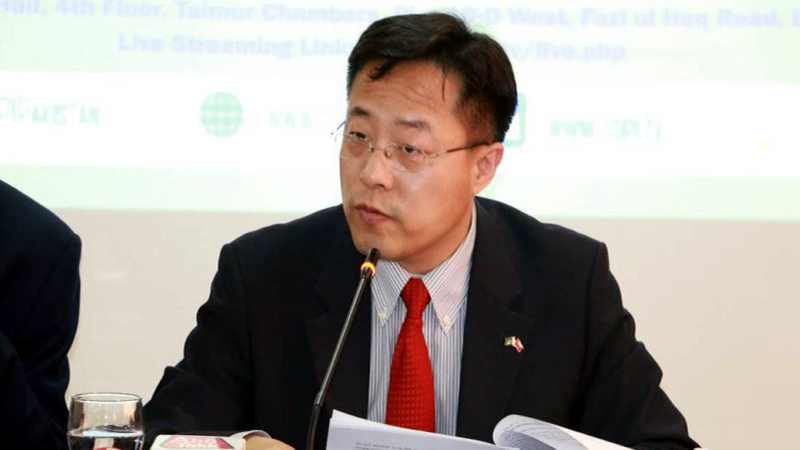 Zhao said following the recent successful visit to China by Prime Minister Imran Khan, various follow-up actions were being taken to bring Pakistan out of the current economic crisis. He said China stands by Pakistan in overcoming the prevailing financial difficulties as well as any future socio-economic challenges. A Pakistani delegation led by Foreign Secretary Tehmina Janjua held follow-up talks in Beijing after the PM’s visit wherein modalities were discussed to overcome the economic deficit through the central banks of two countries. Zhao said Chinese commercial banks were setting up credit lines for their Pakistani counterparts to help improve the country’s foreign reserves situation. About the third-party participation in China-Pakistan Economic Corridor (CPEC), Zhao said it is an open-ended and inclusive development program and that any country can take part in it. “The Belt and Road Initiative is not a ‘China Club’, rather it relates to all the countries that have joined it. It is being carried out through mutual consultations and joint ventures,” he asserted, adding that CPEC Joint Cooperation Committee (JCC) will meet by December this year and take up the matters relating to third-party participation in the initiative. He said Pakistan was the main beneficiary of China’s direct foreign investment (FDI) which is around 20 per cent of the total amount being invested in the BRI countries. Members of the visiting Chinese delegation said China as a time-tested and all-weather friend wanted to help Pakistan enhance its capacity and strength to handle the prevailing economic difficulties. However, it will be mainly up to Pakistan to manage its economic situation, they asserted. Earlier in his opening remarks, Rong Ying said their visit to Pakistan was aimed at studying the latest developments taking place in the country. “In this connection, we had very fruitful interaction with Pakistani officials and scholars. There was a consensus between the two sides to work jointly to improve the living conditions of the people under the BRI and CPEC,” he said. It was agreed that Pakistan and China should carry forward their strategic partnership to address the common problems relating to peace and stability in Afghanistan and their cooperative partnership on counter-terrorism, he added. Terming Imran Khan’s recent visit to China productive and fruitful, Rong said it led to some important bilateral agreements to push forward the bilateral strategic socio-economic partnership. It was agreed that the CPEC will remain centre of bilateral cooperation for the socio-economic development, he added. Other members of the delegation maintained that China attaches high importance to successful implementation of CPEC, which is a pilot project of the BRI. “The first phase has already been executed and now in the second phase the two sides will be working together for development of industrial and agriculture sectors,” they added.